Sedona AZ (October 12, 2015) – Most of the people who support designating 160,000 acres of the area around Sedona as a national monument do so because they are convinced it is the best way to protect the amazing, beautiful, unique, naturally diverse character of this ecological wonder we call home. Here’s a big problem with that: Plenty of evidence suggests that, while this action would enhance the political fortunes of its main movers, it would have an environmental effect that is the exact opposite of what all of us want. What’s that? It would devastate the very values its supporters claim it will protect. At this point, I want to make it clear that I don’t make this claim lightly, nor without background and experience to back it up. 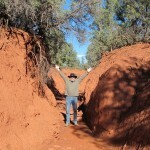 I’ve been active in environmental issues in Northern Arizona since I moved to this area in 1980. Shortly after arriving here I played a significant role in getting several road-less areas near Sedona designated as federally protected wilderness by serving as co-coordinator for the Sierra Club’s adopt-a-wilderness campaign for northern Arizona. 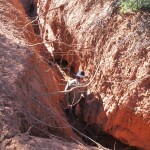 That campaign helped put together legislation that was adopted by Congress as The Arizona Wilderness Act of 1984. In 1993, I received an award from the Sierra Club, on the occasion of the club’s John Muir Centennial Celebration, for my work protecting mountain lions and black bears here in Arizona. 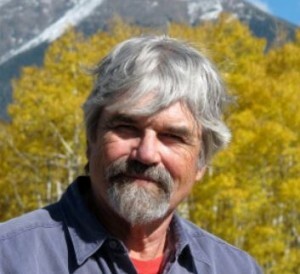 Around the same time, I joined with other environmentalists and a number of Arizona ranchers to form one of the first successful collaborative groups in the West. That group, known as 6-6 (for 6 of us and 6 of them), created an association within which people who usually consider ourselves adversaries worked together to solve issues that typically descend into endless contention. The most significant part of all that is not that it adds to my credentials or gives me something to brag about, but that it taught me a very important lesson, a lesson that is quite the opposite of what I expected. It taught me that increasing the amount of government involvement, control, regulation, protection in an area usually increases its environmental problems rather than decreases them. How did I make that discovery? By going back to areas that have been protected, in some cases for more than three quarters of a century, and observing (and photographing) the results of that assumed beneficial action. Needless to say, when I relocated those areas, and saw the damage protection had caused, I was blown away, so blown away that I wrote two books about it (one was nominated for a Pulitzer Prize), and I’ve been traveling the West ever since, giving talks and showing “before and after” photos demonstrating the downside of what most of us consider the panacea for all that ails planet Earth — protection. 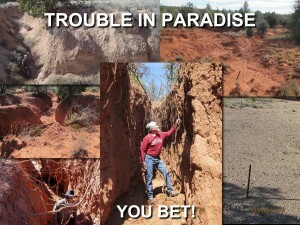 Most of you will be surprised to learn that some of the most mind blowing of these “before and afters” come from around Sedona because Red Rock Country, as far as I can tell, is one of the places within the American West most radically impacted, in a negative way, by protection. Why? 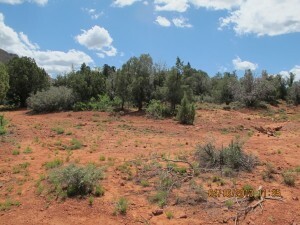 One of the processes by which protection negatively impacts an area is by causing desertification and erosion, and Sedona is obviously very susceptible to erosion. Look out the window. Making this case — that protection can harm the environment — isn’t easy (even with photos). It isn’t easy because it flies in the face of an almost universal assumption within our society — that whatever is wrong with the environment has invariably been caused by humans (everything else is natural, right?). According to that assumption all we have to do to “right” virtually any environmental wrong is reduce or remove the impacts of humans and everything will be “restored to nature” or at least started on a healing journey in that direction. This widely-held assumption traces back to environmental guiding lights such as John Muir, founder of the Sierra Club. Muir was a committed religious fundamentalist who believed that the way to make an environment right or natural or healthy was to reenact the expulsion of Adam and Eve from the Garden of Eden. That is essentially what we do, to varying degrees, when we create a wilderness area, or a preserve… or a national monument. Fortunately, there is another way of looking at the environment, one that works and doesn’t suffer the problems I’ve just described. In fact, it explains them. This way traces back to the space program and our dream of visiting other planets (Talk about an oddball way of learning about how the Earth works!). In the 1960s, in advance of sending a probe to Mars, NASA decided it might be good idea to know if there is any life there. So, they enlisted a number of scientists, including James Lovelock, an English chemist known for thinking out of the box, to come up with a way to tell if there is life on a planet without (or before) visiting it. Lovelock noted that there are a number of characteristics of our own planet that cannot exist without being sustained in some way (or, in other words, by some thing). For example, there is no way our planet’s atmosphere could consist of 21% oxygen if left purely to the vagaries of chemistry. Oxygen is a very active gas which would quickly react itself into compounds with other chemicals if something wasn’t replacing and sustaining it. (Venus and Mars, for instance, contain 0.00 percent and 0.13 percent, respectively, of free oxygen.) Here on Earth, plants, both on land and sea, produce oxygen as a byproduct of photosynthesis, in other words, as a byproduct of living. There are a number of other aspects of our planet that exemplify this same point. Consider the salinity of the oceans. In spite of the fact that every year millions of tons of mineral salts are eroded and dissolved from the Earth’s crust and carried by streams and rivers into the planet’s oceans, the salinity of those waters remains a surprisingly stable 3.4% and has for a very, very long time. Lovelock considered it no accident that this is exactly the salinity required for the continuing existence of the forms of life that inhabit the seas. Lovelock attached the name “Gaia” (the Greek name for the Earth Goddess) to this synergy, of which we have been a part for as long as we have existed. And as we hunted and herded and harvested and gathered as part of that system, we played an important role in sustaining the conditions that make life possible not only for us, but for everything else. Protecting the environment from humans performing those functions, therefore, does no favor for the environment, nor for us, nor for anything, really. 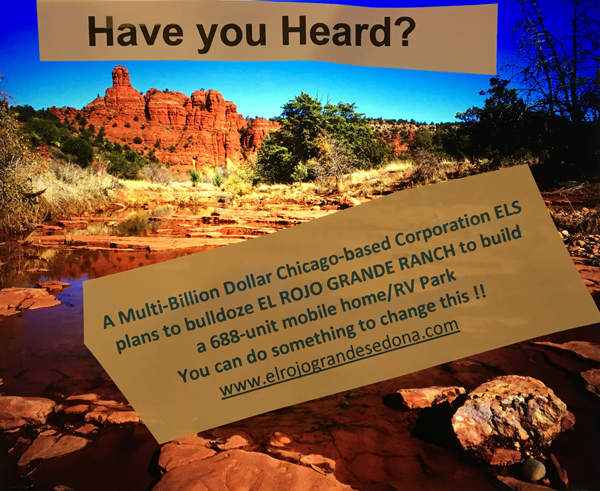 What this tells me (and I hope it tells you also) is that those of us who truly value the environmental health of this exceptional land in which we live should be opposing national monument designation for Sedona Red Rocks rather than supporting it. Rather than asking what we can do to protect the Sedona eco-synergy from us, we might start asking what we can do to resume our role of sustaining Gaia? A harbinger of things to come to us if we don’t heed wise words like this man with experience. His mission was accomplished, writer’s perspective shows experience trumped dogma, rare these days. Will be back often. Splendid contribution IMO. The more informed we are the better qualified we become to make logical and sane choices without being pressured to just accept the unknown. 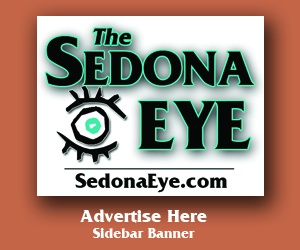 Thanks, Sedona Eye, for every opportunity you make available. Heads up city hall, this is a no to the monument. And remember me Angela & Scott when you ask for my support next time around. It’s based on this vote. No $$ for you & or Tom if it’s a yes. Learn more about what you promote before you dive in. Dan fan. Read his books. Catch this Sedona, Telluride has ONE STARBUCKS and it isn’t allowed to be a standalone. Telluride’s like Sedona, couple roads in/out. Small airport. All economic stratas from extreme wealth to workerbees. Like Sedona? Difference? Telluride has had great mayors and local visionaries. Stores are local owned & operated, no chains. Promote local events on small scale to keep the city vibrant most days. Traffic is contained and backups rare. Go visit. Find out why Colorado is better at this than you are. Stores are bustling. Lodging is full. Life is perfectly balanced. PLEASE SHOW UP FROM 3:30 pm ON TODAY AT 102 ROADRUNNER DRIVE, SEDONA, 86336, FOR THE CITY HALL MEETING WHERE THEY WILL VOTE ON THE NATIONAL MONUMENT DESIGNATION. Let’s show them that the Red Rock News Poll is correct : the vast majority of us DO NOT WANT THIS! COTTONWOOD AND CORNVILLE RESIDENTS…YOU ARE NEXT! PLEASE JOIN THIS EFFORT. STREET PARKING AVAILABLE NEAR CITY HALL IN WEST SEDONA ON SIDE STREETS OFF SR 89A. EARLY BIRDS GET BEST PARKING! Please add more detail on what is depicted in the photos–or links to larger images, at least. Thank you! KSB’s Sedona-Verde Valley Red Rock National Monument designation proposal to the Sedona City Council was voted down tonight, 6-1. The only “nay” vote was Councilor Angela LeFevre. Sedonaeye reporters accomplished something short of a miracle! Brought the Snooze to its knees after it came out in favor and did it by letting everybody have a say! Don’t stop because President can do that executive order & KSB/City/Kirkpatrick can do an end run like O’Halleran did in the beginning. I’m hoping O’Halleran loses big & people hear no more “politicians and dirty politics as usual”. Businesses would benefit from NM. That’s absolutely true! The NM would absolutely ruin the COMMUNITY, but it’s always about the MONEY, isn’t it? 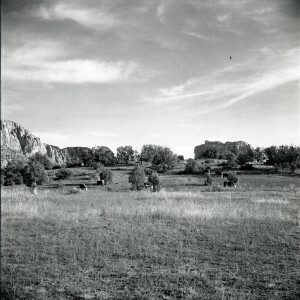 The NM is about preservation, not use. The NM will destroy the city you live in. Dan, what are you suggesting? Let’s agree it’s a bit hypocritical to want to stop development, but let’s agree that there is a saturation or build out point for every locale, even city centers and suburban communities, and mountains and deserts, and farms. We protect our farmlands because we don’t have enough food to eat if we don’t; we protect our mountain streams because we don’t have enough fresh water if we don’t. We protect our cities because they have enough infrastructure, transportation and housing for multitudes who cannot produce and who only consume or service. Am not of your area, but want to congratulate the author and others discussing this topic. Protecting the landscape environment takes out of the box thinking. For Gaia! check this out from the Cottonwood council meeting !!! go mayor joens !!! Thanks to @Scott for this link. Took time to watch it immediately. You at KSB do not have a grassroots effort or a coalition except of a handful of selfish environmentalists with an agenda and a Sedona city councilor. Barbara Litrell, what do you say and why? Weekly discussions, 4500 signing in favor of the national monument, coalitions? Not truthful except by omission because most of your signers are NOT FROM THIS AREA, you collected signatures from TOURISTS that don’t know squat. 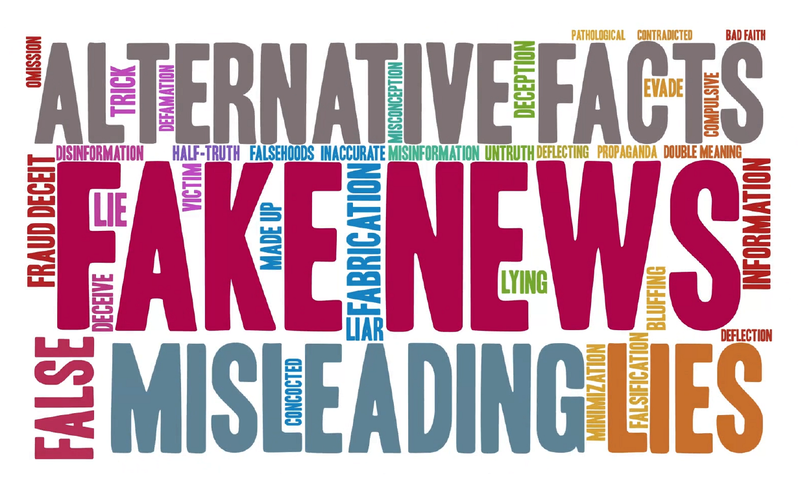 I like you, but by omission fail you and others are not being fully truthful. A tarnish to your reputation. We are NOT out of a recession. Talk to local real estate companies, talk to portfolio managers that predict another great economic debacle soon. And stop trying to usurp local tribal authorities, WE don’t like it and we don’t agree with you!